Home sellers have been enjoying the fruits of a robust real estate market that has gone strong for close to a decade now with double-digit appreciation values that have become the norm. Is 2019 going to be the year when this wild ride comes to an end? Is there trouble on the horizon? What can home sellers expect this coming year and how can they best prepare for a shifting market? That’s what this article is about. Note: I refer to “home sellers” as folks who currently own their home and are considering selling it within the next 12 months. Simply put, our data suggests that we are definitely due for a market “cool down” or “correction” (more of a financial term used by industry experts). We have been on quite an impressive real estate market ride for almost a decade now, however, we can see that historically our cycles have typically been 7-8 years at a time. There are many different opinions and perspectives circulating around when this “correction” will occur by industry experts, but it never hurts to be more prepared, than less. There is a saying that is always important to remember when it comes to greed: “Pigs get fat, but hogs get slaughtered.” Time and time again I have heard real estate horror stories from individuals who have lost so much, all due to wanting more and more, rather than stopping to see the facts. The facts are this: our data is suggesting that home prices have started to hit a ceiling in many different markets through out our area and the buyers in our markets seem to be more reluctant in paying the prices that have been asked by home sellers in the past years (i.e. “sellers market”). This was bound to happen, however, don’t go into selling your home thinking that you will be the one that’s shooting for the stars on your price and that buyers are waiting at the door to give you what you want. We have undoubtedly been in a strong seller’s market for a long time now and buyers are just starting to become cautious of where the market is going and are reluctant to dive into a deal that might come back to haunt them. The best thing to do in this type of situation is to have a firm “pricing strategy plan” in place with your agent BEFORE your property goes on the market. A pricing strategy is essentially an agreement (get it on paper, signed!) between you and your agent that will authorize price adjustments at predetermined intervals through out the life of the listing until an accepted offer is reached. I would also recommend placing a “cap” on how low you are just not willing to sell at beforehand. There is strong data right now in the marketplace for a competent listing agent to adjust the listing price of your property at the right times to still insure the maximum amount of money you can get for your home in evolving market conditions. You might be wondering, “Jon, instead of predetermined pricing, why doesn’t my agent just ask me to adjust the price when the time comes?” That’s simple. Because most sellers are reluctant to adjust to market conditions and instead want to focus on everything else that might be a problem with their listing. Although, that might be valid in some cases, most of the time what really matters to the buyer and the success of the sale is the price. A pricing strategy will bring peace of mind to both, you and your agent, that you are capturing the best price for CURRENT market conditions as they happen. The flip side? Your property being stuck on the market for more than the average time frame because of a price that is missing the mark, in which buyers will become a little more ruthless when writing you an offer. You can’t blame them. You would do the same in their position! Have a pricing plan for a shifting 2019 market and come out fat, not slaughtered! Rates are expected to continue on an upward trend in 2019 and that will have very significant impact on home-buyer’s purchasing power and ability to obtain financing, which means that the financial climate of this year will also become a challenge for the sellers. If folks can’t obtain favorable loans and rate, they can’t buy your house. If you really want to sell your home in a timely matter and stand out against the competition, you should consider finding ways to help buyers overcome their financial hurdles. – An upfront offer to contribute towards the buyer’s loan fees (commonly known as “Seller Concessions”). Typically buyer’s can be looking at 2-3% of the purchase price of the property being fees associated with their financing, such as: appraisal fees, origination fees, underwriting fees, prepaid costs, etc. There are limits to how much you can contribute, so make sure to check with your agent. – If your property needs some work to bring it back to good condition, you can offer (upfront), to credit buyer with some money at the close of escrow that can help keep the lender less concerned of the property’s current physical condition. This approach is better than having appraisal issues later down the road or making the lender feel more comfortable and cooperative because of the home sellers proactivity to addressing concerns. There are also limits to how much you can credit a buyer, so make sure to check with your agent. – Offer to be flexible with a buyer’s timeline (dependent heavily on the type of loan they are planning on getting), so that they can go through a stronger financing process. Most buyers like to entice sellers with shorter closing time periods to get their offers accepted, but it is becoming more and more normal to see closings extended because the lenders are just not at a point to fund the deal. This can cause some very serious problems to both parties because logistics of their moving plans are blown up. Avoid this upfront by being a little more patient and understanding of the financing piece. Depending on the current mortgage conditions, ask your agent on what you should consider offering as part of the deal to a potential buyer, so that you can remain proactive on helping buyers overcome their financial hurdles. A buyer wants to buy your house, you want to sell it, but the lender needs what it needs to make it happen. Understand that early on and overcome problems! It is a guarantee that home sellers will be kicking themselves after this real estate cycle comes to a slowdown because they didn’t jump in at the right time. This happens to millions of Americans through every economical cycle. The key in avoiding this is to focus more on how you can leverage the current market for your own personal dreams and goals, than to focus purely on the amount of money you can make. It’s a mindset shift. 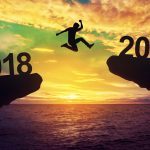 2019 isn’t the year to be pondering whether selling your home is a good idea, but rather THE year to make it happen, if there is opportunity to catapult yourself forward and gain traction in your personal and financial life. There is no cookie-cut answer for all, so make sure you understand yours and how you can best implement it. Also, keep in mind that the amount of equity in your home (or “net proceeds” that you expect from the sale) is not as important as how you can leverage the amount of equity that you have to move onto the next chapter of your life. – Selling your current home and starting construction on your dream/forever home. 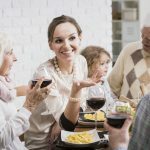 – Downsizing from your current home. – Upsizing from your current home. – Plans to move out of state and be closer to family. – Plans to move out of state & decrease the cost of living (more “bang for your buck”). – Freedom to sell your current home & rent in anticipation of a major life change. There are many reasons why it would be worth biting the bullet and moving forward with selling your home this year. Make sure to consult with a real estate professional to brainstorm and come up with the best plan that is customized to you! Many people avoided hearing the voices of reason when the market was coming to an end back in the 2000s, but don’t do that now! Sure, you can think that the grass keeps on getting greener and greener on the other side, but the truth is – grass dies! Not to mention it dies in seasons! 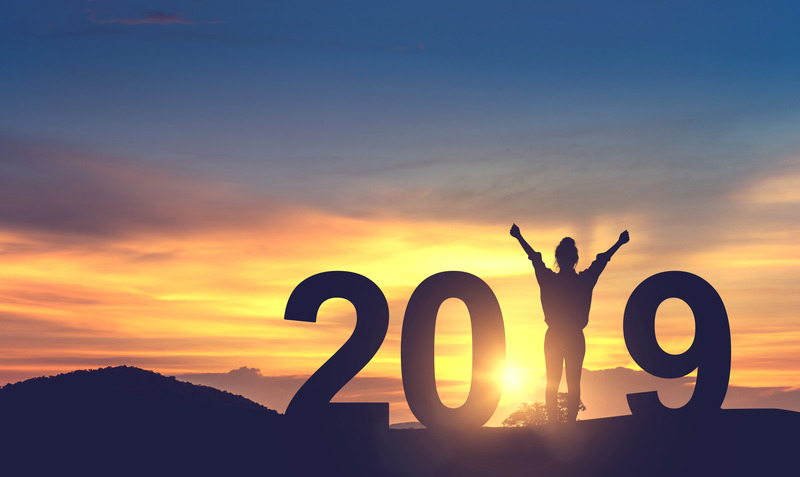 Know and understand the importance of these 3 tips that will give you the best chances of calling 2019 a real estate win. You will surely feel more prepared than most if you decide to sell this year and can expect a more favorable outcome! Take a deep breath and make a great year! It’s wonderful post. thanks for helpful tips..I will bookmark this post for using in futures.